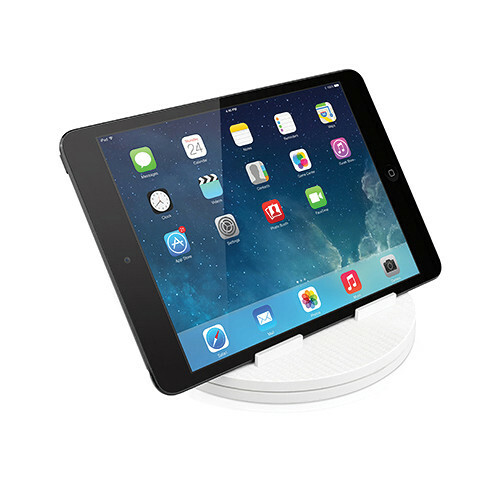 Share your tablet or smartphone's screen with the Macally SPINMOUNT Swiveling Desk Mount. Designed to accommodate tablets of nearly any size as well as smartphones, this mount swivels 360° so you can easily show what's on your device to those around you. The SPINMOUNT can hold your device in a horizontal or vertical orientation. Box Dimensions (LxWxH) 6.5 x 6.5 x 1.5"